Homemade Apple Pie Filling - Dessert Now, Dinner Later! 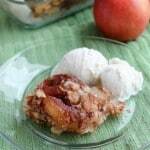 Homemade Apple Pie Filling is easy, delicious, and freezes well! 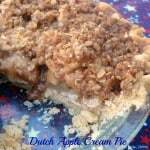 Use it for apple pie, apple crisp, or any dessert that uses canned apple pie filling. Stays freezer fresh up to 12 months! 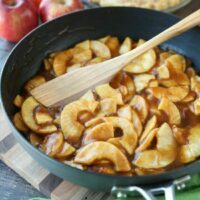 Apple pie filling is super easy to make and tastes way better than anything in a can. You can make it as saucy or as fruity as you want and it freezes well (up to 12 months) so you can make a bunch and use it throughout the year. HOW DO YOU MAKE APPLE PIE FILLING? 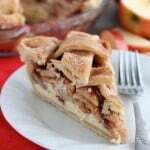 Apple pie filling is easy to make with any apple. Depending on the sweetness of the particular variety used, you may want more or less sugar. 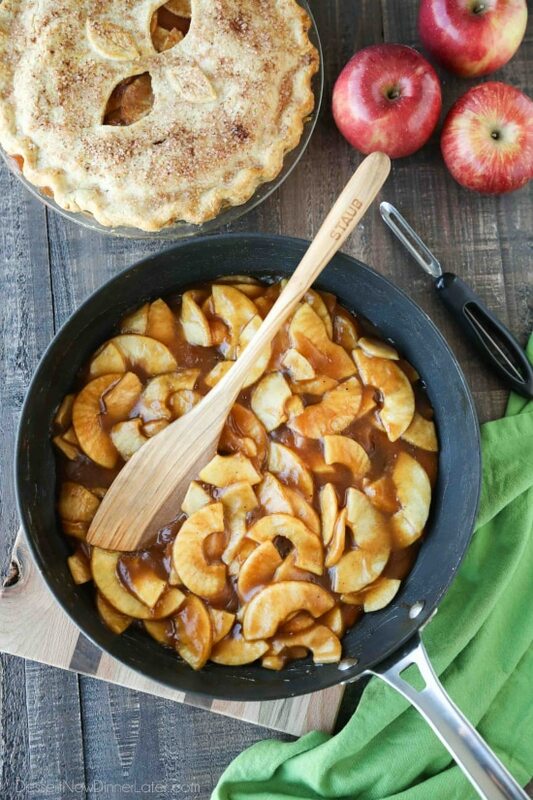 Customizing the taste is one huge benefit of making your own apple pie filling at home. Apples, lemon juice, sugar, spices, cornstarch, water, and butter are all you need to make apple pie filling. 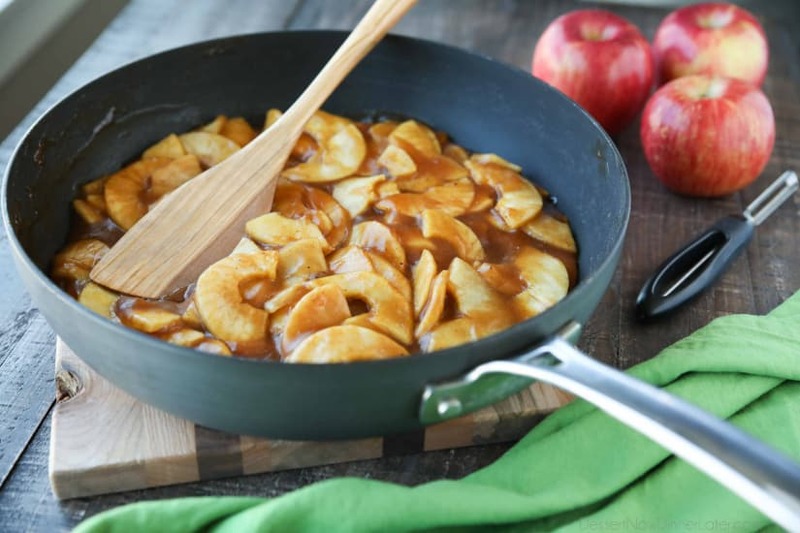 Apple juice in place of water makes a really great sauce, but be sure to adjust the sugar or use a more tart apple (Granny Smith) if you plan on using juice. The cook on the apples is up to you as well. 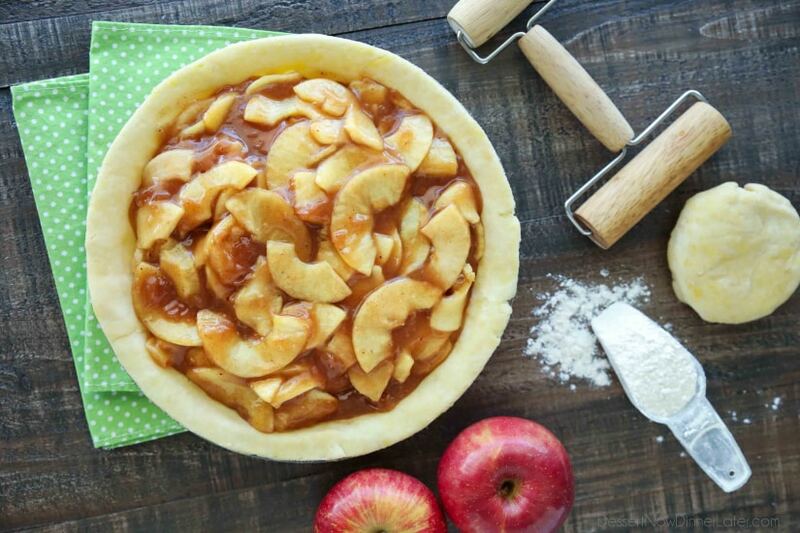 Keep in mind that the apples will continue to cook in the pie, crisp, or dessert that you are using it for and adjust the cook time accordingly. Some apples are naturally more soft or crisp than others too, so use your best judgement. This homemade apple pie filling is NOT safe for canning, mainly because of the cornstarch. Cornstarch can prevent the heat from reaching the center of the jar, which effects the destruction of bacterial spores that cause botulism. (To use this recipe for canning, substitute cornstarch with 1.5 times as much Clear Jel.) This recipe IS great for freezing though, which is super easy to do! Peel, core, and slice apples. Toss with lemon juice, both sugars, cinnamon, nutmeg, and salt in a large bowl. 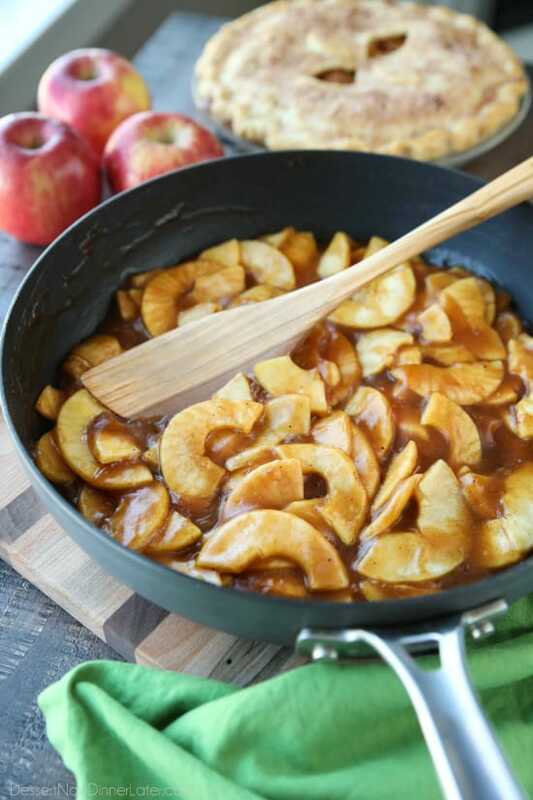 In a large skillet or saucepan over medium heat, melt the butter and add the apples. Cover and cook for 3 minutes. Cool apple pie filling to at least room temperature before using for pie. To freeze, place cooled filling in a gallon size zip-top freezer bag. Squeeze excess air out and lay flat in freezer. Freeze up to 9-12 months. Thaw in the microwave or refrigerator overnight to use. *Adjust amount of sugars depending on variety of apple used. *Use half as much of the sugars if using apple juice instead of water. 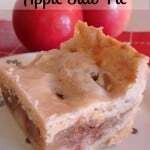 *For softer apples, only mix 1/4 cup of the water with the cornstarch to make a slurry/paste. Set aside. Simmer apples, covered, with the remaining water until desired tenderness. Then add the cornstarch slurry and heat to boiling to thicken the sauce. I am what you would call a “seasoned” baker. Chronologically that is. 😉 Just wanted to say I love your recipes!! They are varied, but more, delicious!!! I so enjoy all you share!! I’m so happy to hear that Jan! Thank you so much for taking the time to leave a comment! The feedback is very much appreciated! I tried it. The filling is delicious! In going to make an apple pie this afternoon. Pie are square is a falsehood. Everyone knows that pie are round.